Louisa studied law at King's College London and completed the LPC at Nottingham Law School. She trained in London with Barlow Lyde & Gilbert, before working as a commercial litigation/professional indemnity solicitor. After qualifying as a solicitor in 2005, Louisa relocated to the North West to work for Addleshaw Goddard in Manchester. She later moved to Hill Dickinson and spent time in both the Manchester and Liverpool offices practising professional indemnity litigation, working for national insurers defending a wide variety of professionals. In 2007 Louisa moved into legal recruitment. 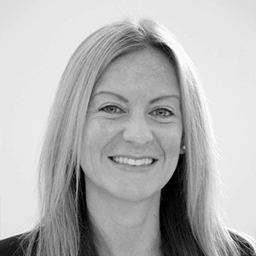 She joined BCL Legal in 2011, where she specialises in recruiting for private practice positions across the North West, at all levels of PQE from NQ to partner level appointments. Louisa has worked with major international, national and regional law firms over many years, assisting firms including Pinsent Masons, DWF, Berwin Leighton Paisner and TLT with their entry and growth within the Manchester market. Louisa has developed strong relationships with partners, HR and key decision makers at firms she works with, adopting a consultative approach to her work in understanding her clients’ business needs. Her knowledge of the North West legal market is exceptional, providing law firms recruiting and lawyers searching for their next career move with the extensive knowledge they need to find the best long term fit.